For anyone who is interested in using a material that is going to improve the look and the value of their home, they must consider using Recycled Plastic Wood. This product is a material that is made to look and feel like legitimate original wood, but be much stronger and resilient. It is made from recycled plastics and other materials and is used as a replacement and substitute for real wood. There are many benefits to this material. The first is that it lasts much longer than natural fibre woods. When exposed to the elements a normal wood structure is going to become weathered and slowly deteriorate. The reason that this is such a problem is that not only does the individual piece of wood become damaged, but the entire structure becomes undermined. Another important aspect of using recycled plastic as a material is that it has the ability of having no need to be treated. Normal wood required you to use chemicals that prevent the rain, sun, and other water from damaging the wood fibre. 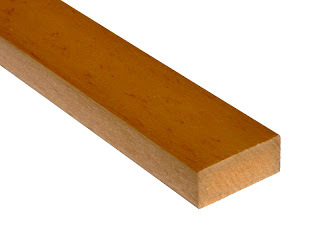 What is important to understand is that if you are using a recycled plastic lumber material you will not have to go through the years of maintenance that is normally required for those who build with real wood. There are other benefits, in addition to not having to undergo yearly maintenance. These include the fact that these boards do not warp. If you have ever tried to build to a precise method, you will know that natural lumber is not conductive to exacting specifications. What happens is that a natural curve to the woods grain will tend to force it to bend. This makes it very difficult to work with. Recycled plastic lumber does not warp do to the heat, or the cold, therefore they will remain in their state and not warp. This is important especially when building a deck, porch, or some other structure that is exposed to extremes in weather. This means that it is the ideal method for constructing an outdoor structure. This form of plastic lumber is also great for those who want low maintenance. It can be used in any application where you are looking to get a uniform look. Because this type of building material can be ordered in a already coloured and stained look, you can simply install it and dispense with the usually hassle of painting and staining that normally comes with woodwork. For many applications it will be the best choice. This is because it has the ability to maintain the desired look for decades. There will not be a need to power wash the recycled plastic wood or to stain it again and again every three years. In this way it is a cost saver as well as a time saver. Because using Recycled Plastic Wood saves you the headaches associated with replacing damaged parts, and the unnecessary maintained, it is an easy choice. Anyone who is looking to save time and money needs to investigate this fantastic material. It looks great, is easy to use, and lasts much longer then natural wood. Good and useful post. When new products are created from recycled materials, those product makers are very careful in making sure that they don't add anything to the new product that might be bad for the environment.